I get pretty bad envy. Whenever I'm researching something and I find a good example online, I think to myself "Why aren't my students doing this myself?" For example, while looking up some Canterbury Tales videos, I found some pretty cool examples of videos made by students from all over the world and from different grades (from 10th grade to college). As I watched these, I sat there, salivating at the awesomeness, thinking to myself "My TAPA students are waaaay more talented than these kids! They could do, like, a million times better than this! The world must understand their genius." Read. As a group, read your assigned story. Together. They're a bit difficult to understand, so read the version I provided you, and feel free to check out a few of the other translations. Brainstorm. I'd like for your version of the script to be close to the original. 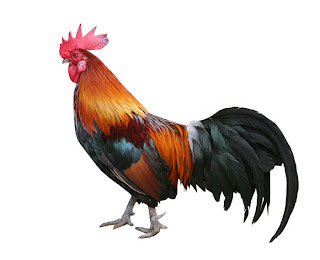 For example, if you were doing the Nun's Priest Tale, I don't want you to change Chanticleer from a rooster to a person; I want him to be as written. However, you may decide how you want to present the video. Maybe you make it live-action, like with costumes. Maybe it's a silent film. Maybe you create puppets to act it out. Maybe you use stop-motion animation and Legos. Maybe you use 3D animation like XtraNormal.com. I'd love for everyone to try a different method of filming! Mr. A: [Walks into the room and looks at Mr. B] Dude, what are you doing? Mr. B: [Throws his book at Mr. A] I'm throwing books at you! When your script is completed, one member should upload it to Scribd, and then every other member should embed it into a blog post. Film/Upload. Make it awesome. When you're done, one group member should upload the video to . Post. Each group member should post the video to their blog. Any other questions? I didn't think so.